If you know me, you know I’m a very simple person when it comes to skin care. This means my morning routine and whatever “skin care routine” I do claim to have is very simple and to the point considering the most I put on my face is a BB cream and mascara. However, I do like to take care of my skin and keeping it clear, clean and fresh. I may not be the biggest skin care guru around, but that doesn’t mean I don’t have my self care days for pampering. 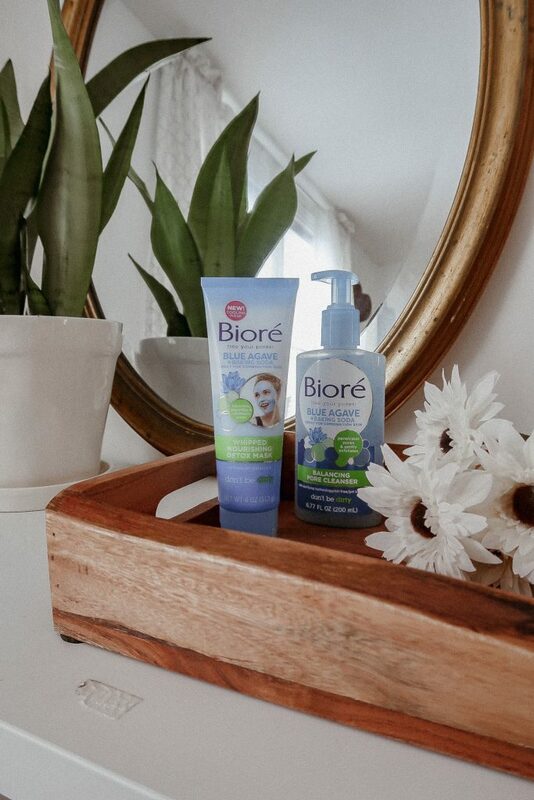 Thats why when Bioré reached out to me and asked me to be part of their new campaign, I was more than excited! After using their new products over the past week I have quickly fallen in love. 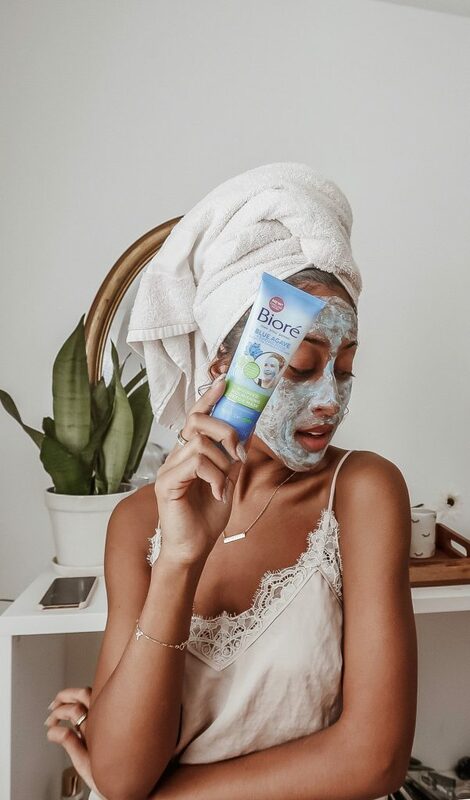 Bioré’s new skin mask and cleansing/exfoliating products give me the experience of pampering, but the true deep pore cleansing my skin needs. Im really bad with consistency so masks and deep cleansing tools are my lifesavers! The new Blue Agave + Baking Soda Whipped Nourishing Detox Mask is one of my new favorites and definitely something I will be reaching for again and again in the future. Its a great detox mask and after a short three to five minutes, your skin is back to feeling fresh and brand new! Paired with the face wash which gently exfoliates skin, your skin will be glowing in no time. With Blue Agave and baking soda being the two major ingredients in this face mask, you can count on the baking soda to do the serious deep cleaning and stripping of the oils and pollution, while the natural blue agave will soothe and nurture your skin leaving it fully refreshed. I have combination skin so this works really well for me. I find myself usually getting products that either leave my skin way too dry or oily, which is not cute. With this combination of ingredients, I feel like my skin is on its way to finding its new self! Apply on wet face avoiding the eyes. Relax and let it work its magic for 3-5 minutes! After I used the mask for the first time, I was shocked. I use masks all the time and 9 times out of 10 I rarely ever see a huge difference immediately afterwards. With this mask, I had a full “before and after” kinda experience. My skin felt plump, fresh, and super moisturized. It was smooth to the touch and my complexion appeared ten times more even and consistent than before. I did this mask after being in bed sick for a week and I must say, it sure made me feel nourished, awake and ready to take on my first day back at work! 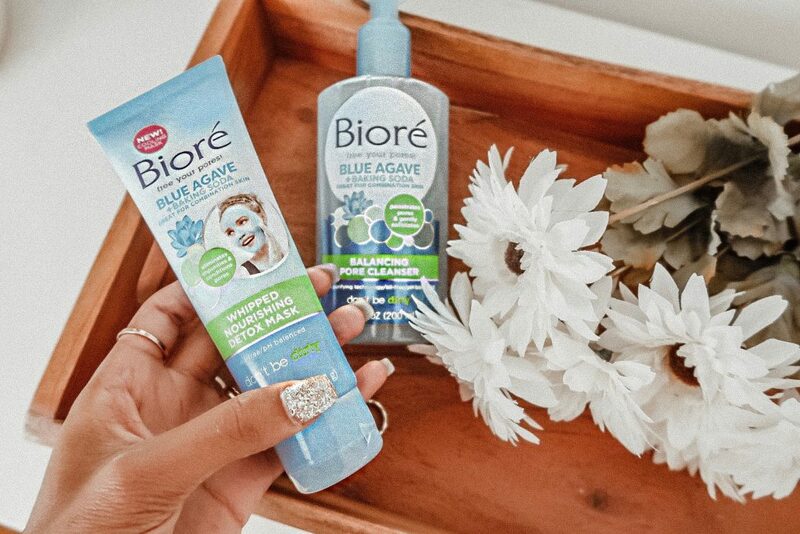 *This post is sponsored by Bioré but the content and opinions expressed here are my own. ** Please note: Not for sensitive skin consumers or those with sensitives to menthol as it may cause short term flushing of the skin.